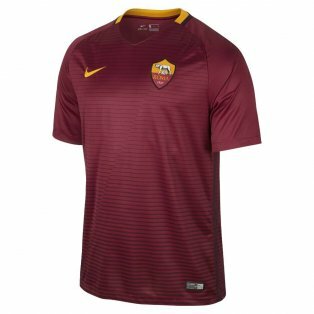 If you’re there in person at the Stadio Olimpico or you’re just cheering them on from afar, you can get your very own AS Roma Kit from our store today! We stock the very latest Roma football shirts which are 100% authentic Nike products. Our specialised printing service means you can get your favourite player and number on the back of your shirt, including legends such as Francesco Totti, or even your name! We also stock shorts, socks, training kits and a whole array of other Roma products including polo shirts and tracksuits. 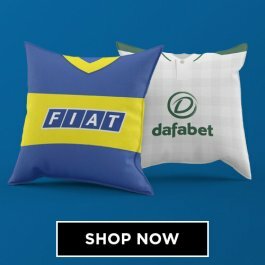 Based in the Italian capital of Rome, where they share a stadium with bitter rivals SS Lazio, AS Roma have a proud history with three Serie A victories and 9 Coppa Italia trophies. The club were founded as part of a merger in 1927, when the Fascist regime decided that all Rome clubs should be merged into one. Although Lazio refused, Alba, Pro Foma, Roman and Fortitudo were brought together to form the AS Roma that competes in Serie A to this date. 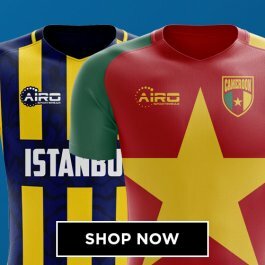 The club have the nickname of the Giallorossi (yellow-red) in keeping with the colours of their kit. It was not until 1931 that they settled on the dark maroon coloured jersey that they wear to this day. The initial Roma jerseys were white, red and blue in keeping with the home shirt of Fortitudo-Pro Roma. The new maroon jerseys seemed to serve them well as in 1931 they finished runners up to Juventus. 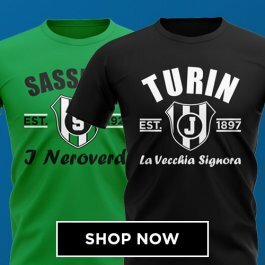 It would be in 1942 that they won their first Serie A title. 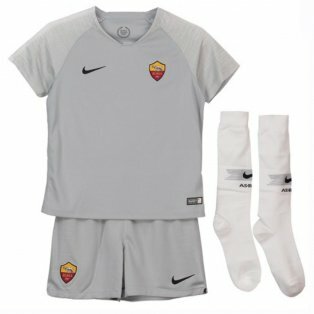 Roma traditionally wear white shorts and maroon socks with their home shirt. One of the more famous jerseys ever won by the club was from 1971. For the first time, the club wore a red and yellow striped shirts instead of the traditional red panels with yellow trims. The jerseys were manufactured by Lacoste, who were more commonly associated with tennis during this period. The Roma away shirt is traditionally white, with maroon shorts and white socks. 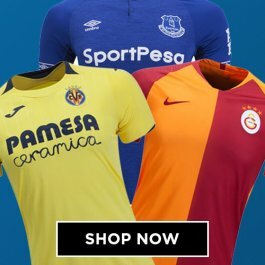 In recent years, with the increased prominence of European competitions, a third kit has been released as part of the merchandise range available for supporters to buy. This has normally been black, although a grey version has also been worn in recent seasons. The word legend is branded about too easily these days but in the case of Francesco Totti, he is a genuine icon. 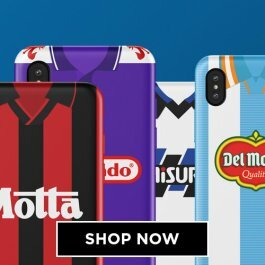 The ultimate one club man, Totti’s incredible skills, loyalty and longevity have made him one of the best selling football shirts in UKSoccershop history as adults and kids alike pay tribute to the World Cup winning playmaker. With over 600 appearances and 250 goals for the club, Totti has won two Serie A Footballer of the Year Awards and numerous other individual honours both domestically and internationally. Although Roma shirt printing is available for all players past and present and even your own name, a large majority still get Totti shirt printing on the back of their AS Roma kit. In 2014, Roma announced a ten year supply agreement with Nike who will make all the official AS Roma replica shirts and training kit including the very popular tracksuits, polo shirts and jackets. Prior to this arrangement, Roma had been more commonly associated with both Kappa and Diadora who had traded the contract back and forward for the best part of 20 years.